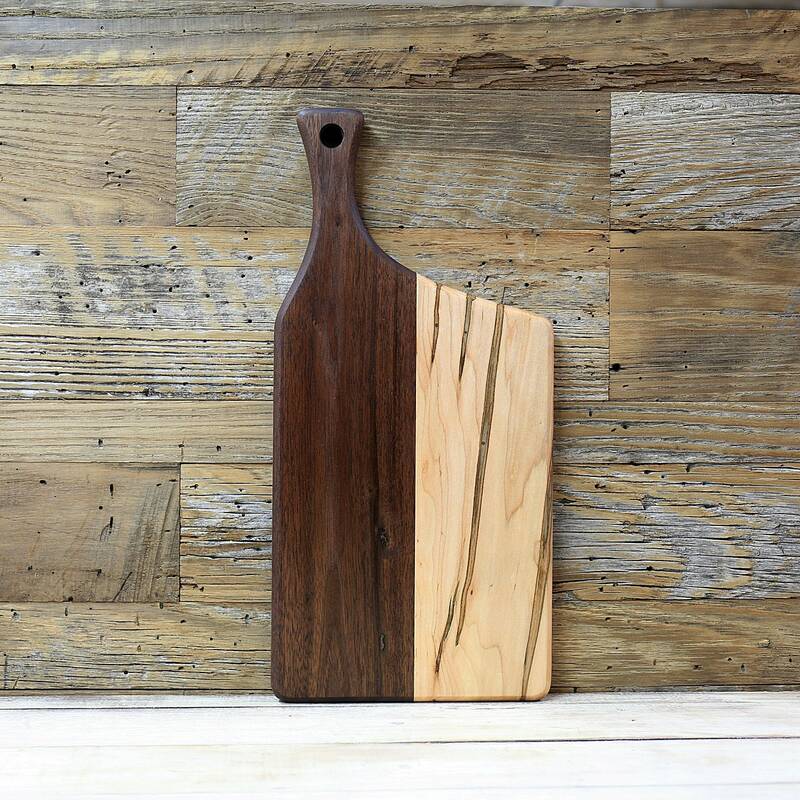 NOTE: You are purchasing the cutting board in the photos. 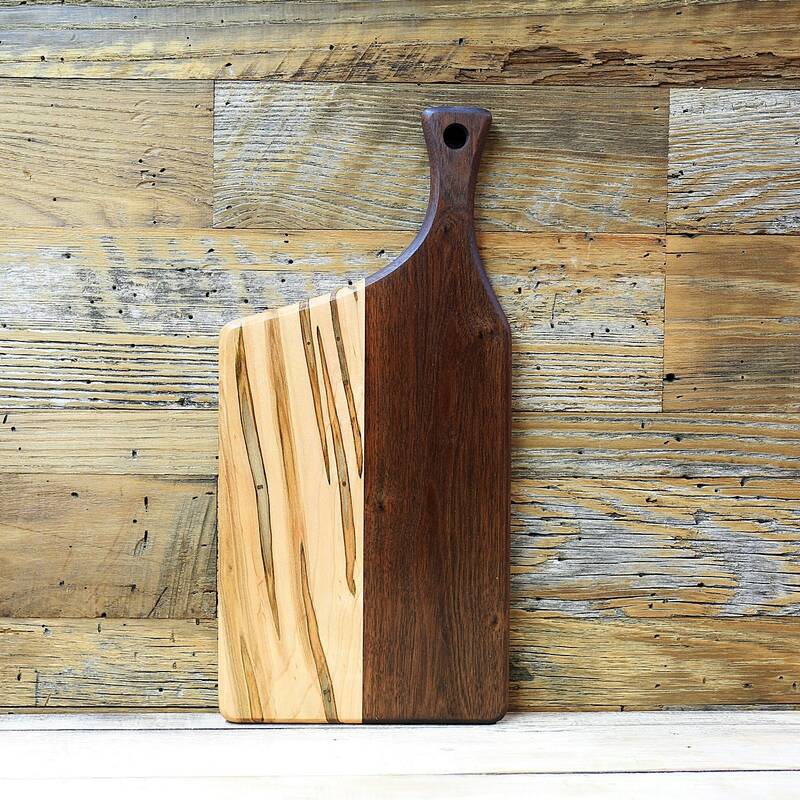 Your viewing a wood cutting board made from walnut and ambrosia maple. The handle is walnut, and the other half is ambrosia maple. It has been sanded and finished to a smooth touch. The whole board is completely rounded on the edges, and it sports a small hole for hanging/display. Finished with mineral oil. Rewaxed with beeswax/mineral oil at time of shipment.